Midfielder who is widely known for his international club career. In 2014, he signed with Portuguese side Porto before joining the English Wolverhampton Wanderers prior to the 2017 season. He began his youth career in Porto's youth academy in 2005. 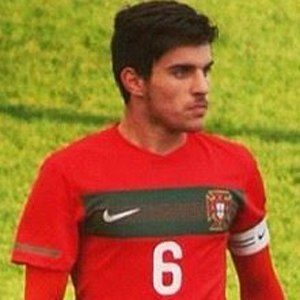 He later played for Pardonese in the 2012-2013 season on loan from Porto. He debuted for the Portuguese senior national team in 2015. He previously led the Portuguese U-21 squad to a runner-up finish in UEFA European U-21 Championship tournament. He was originally born and raised in Mozelos, Portugal. He has played alongside Carl Ikeme for the Wolverhampton Wanderers.